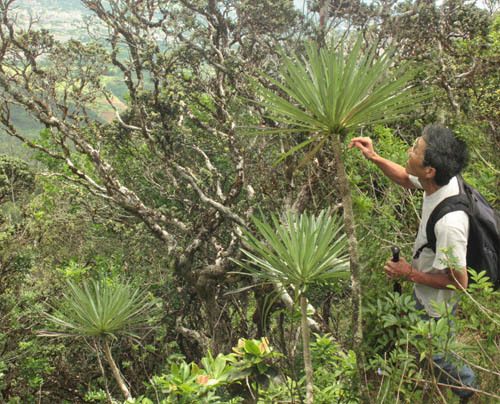 We climbed to the top of Pu’u Hapapa — the 2,883 foot peak just south of Kolekole Pass — to see the native plants and animals that live along the spine of the Waianae Mountains. The trail took us through groves of paperback, christmas berry, and other introduced trees that cover the lower flanks of Pu’u Hapapa. After contouring in and out through several gullies we climbed up through christmas berry trees to gain the top of a ridge. 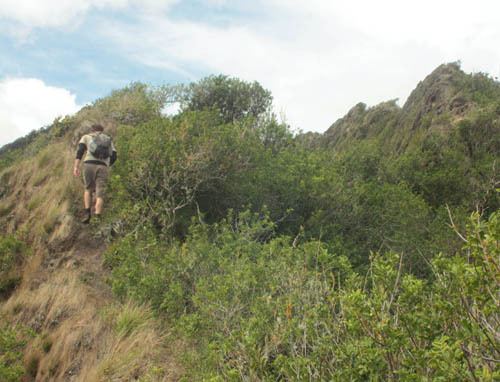 The ridge we climbed joins the spine of the Waianae Mountains above Kolekole Pass. The higher we climbed up the ridge, the better the views we had of Lualualei and the Wai’anae Coast. From our vantage point high above we could clearly see the strategic importance of Kolekole Pass. 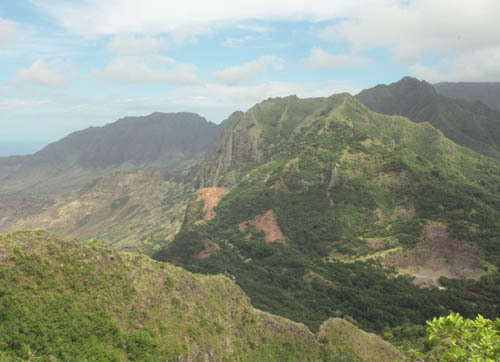 The gap in the mountains is one of the few ways an invading chief could bring an army of warriors to the Wai’anae Coast by land. 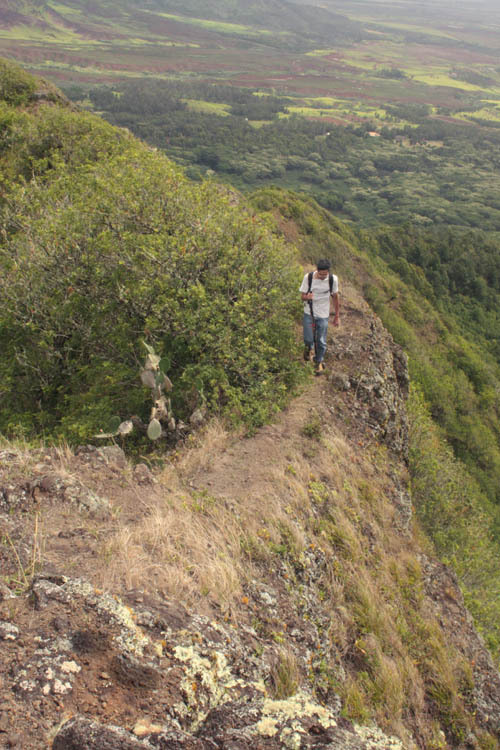 After making our way along the steep cliffs with hundred foot drop-offs, we reached our destination — the top of Pu’u Hapapa. 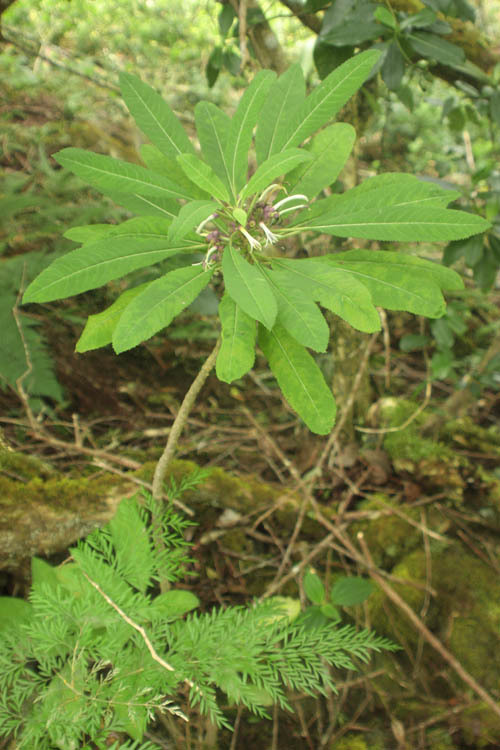 The purpose of our hike was to see whether a particular species of oha wai — Lobelia yuccoides — was in bloom. Unfortunately, none of the several dozen plants we saw were in bloom and I was disappointed that we did not see their distinctive blue colored flowers. The Hawaiian lobelioid group of flowering plants are endemic to Hawaii and are found no where else in the world. It it believed that the 125 species of lobeiloids, which are grouped into 6 genera, evolved from a single introduction to the Hawaiian Islands 13 million years ago when Gardner Pinnacles and French Frigate Shoals — coral atolls in the Northwest Hawaiian Islands — were high islands and long before the current main islands existed. 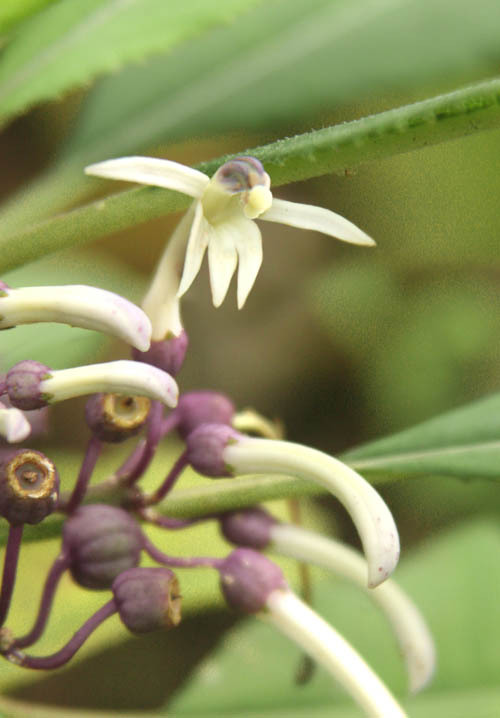 What we did see, however, were the flowers of another species of oha wai — Cyanea membranacea — which has small white flowers with purple accents. Cyanea membranacea flowers are just under an inch long. The flowers are white in color with a tinge of purple at the tip of the stamenal column and on the calyx at the base of the flower. After the flowers are pollinated, they turn into fruits that look like cute little purple pumpkins. 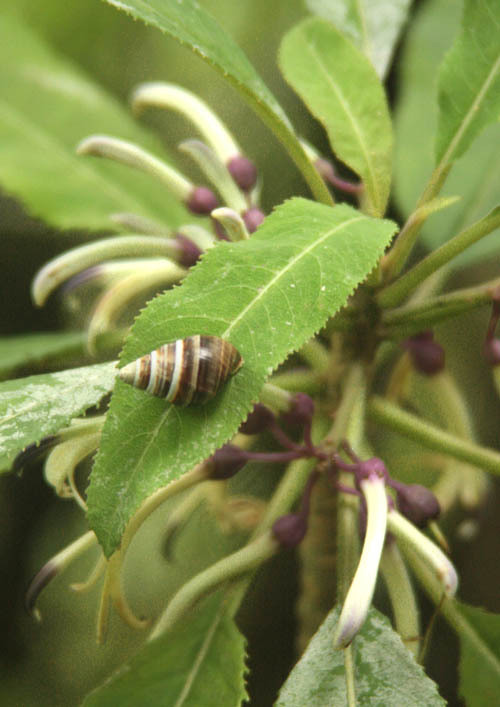 While looking for lobelia flowers, we were pleased to see a kahuli or Oahu Tree Snail (Achatinella mustelina) with brown bands on an oha wai whose flowers were poised to bloom. 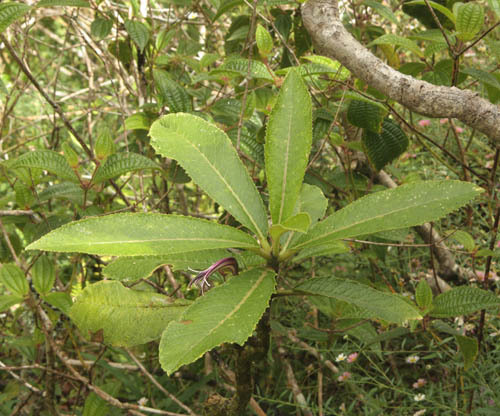 During our search through the understory of the forested slopes, we saw a number of kahuli on olomea (Perrotetia sanwichensis) which have vibrant red stems and veins. 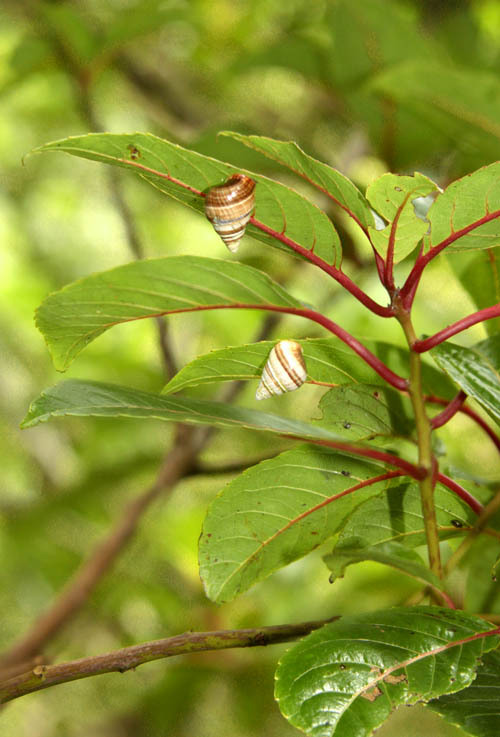 These tree snails are endemic to the island of Oahu and can only found in the Waianae Mountains. 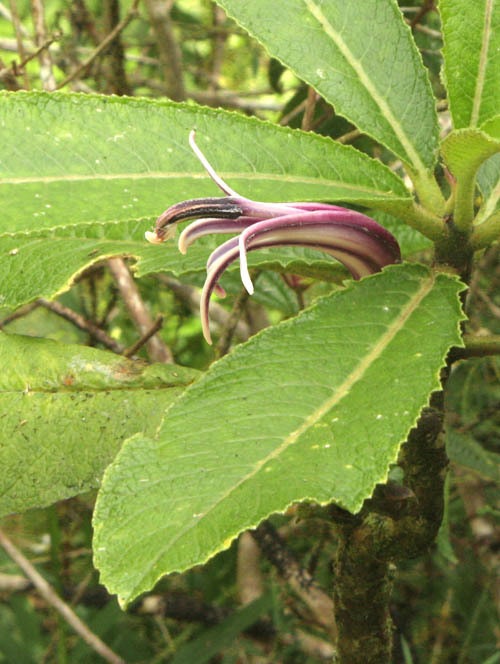 Another species of oha wai — Cyanea calycina — also grows at Puu Hapapa. This lobelia produces larger leaves that are much thicker and stiffer to the touch. The flowers of Cyanea calycina are almost 2 inches long. These attractive flowers are primarily purple in color and are outlined and streaked with white. 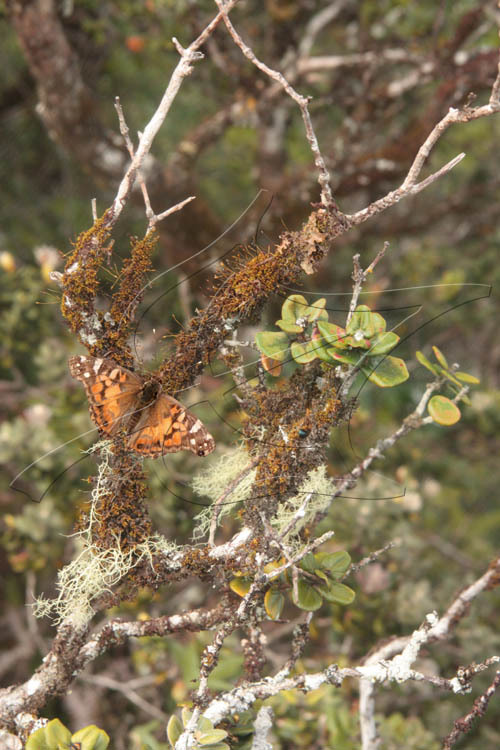 While searching the slopes of Puu Hapapa, we saw several pulelehua which I followed and stalked for quite some time — hoping they would land on a cluster of oha wai flowers. As the day began to end and we returned the way we had come, I reflected on our great fortune at seeing these really cool native plants and animals.